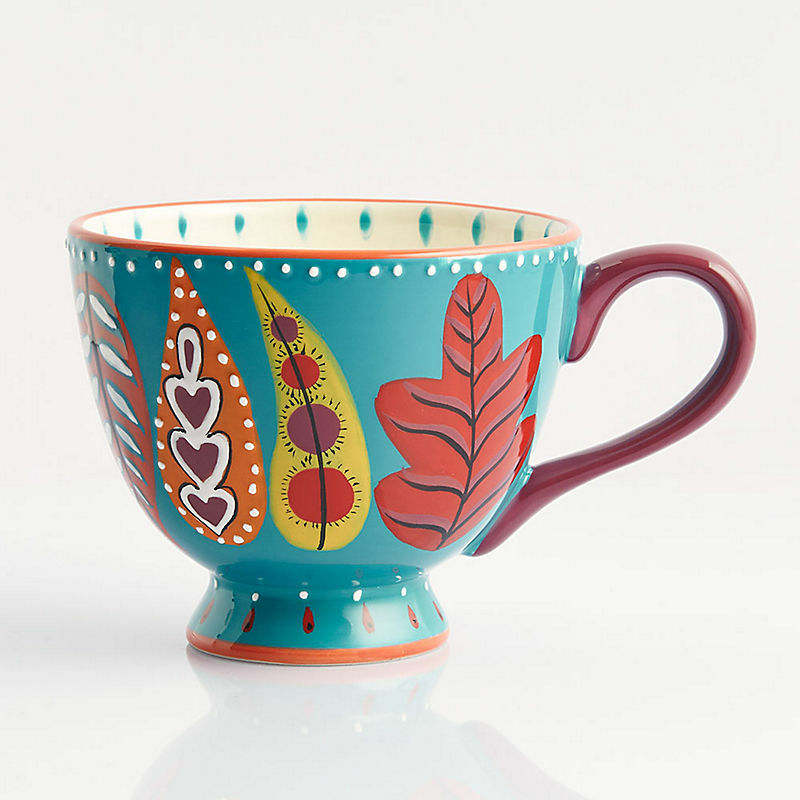 This Paper Source designed Turquoise Leaves Mug is perfect for the coffee or tea lover! In beautiful turquoise with a pretty leaf design. Approximately 20 oz. $12.95. Buy here. 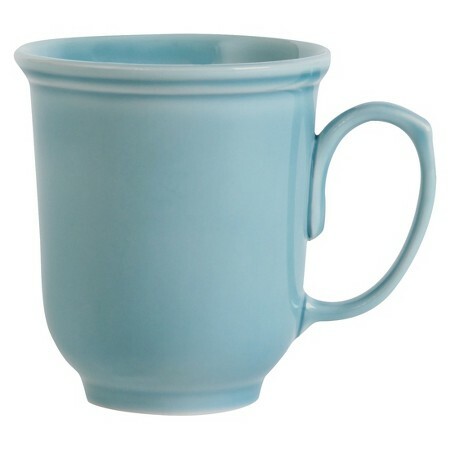 Timeless and simple, the Threshold Wellsbridge Semi-Porcelain Mug in Aqua adapts easily to any setting with a gently curved silhouette and fresh, blue glazed finish. 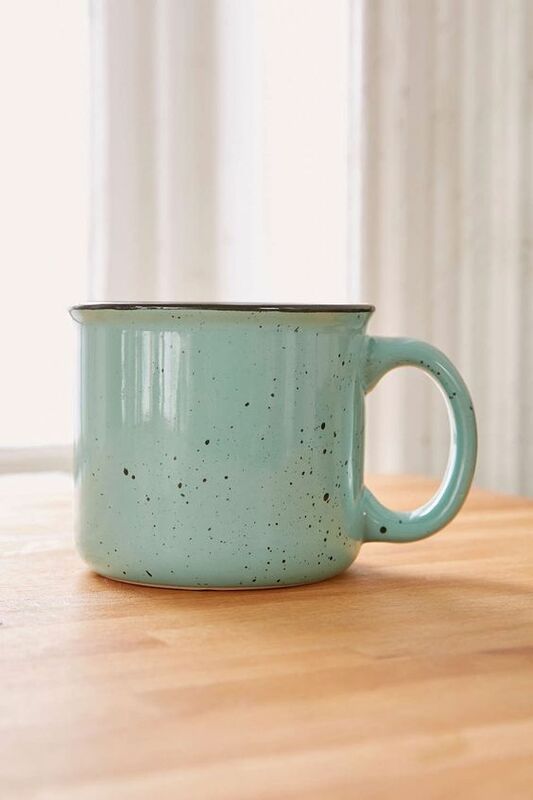 Crafted from durable and lightweight ceramic material that’s microwave and dishwasher safe, these coffee mugs aren’t just stylish, they’re functional, too. $3.99. Buy here. 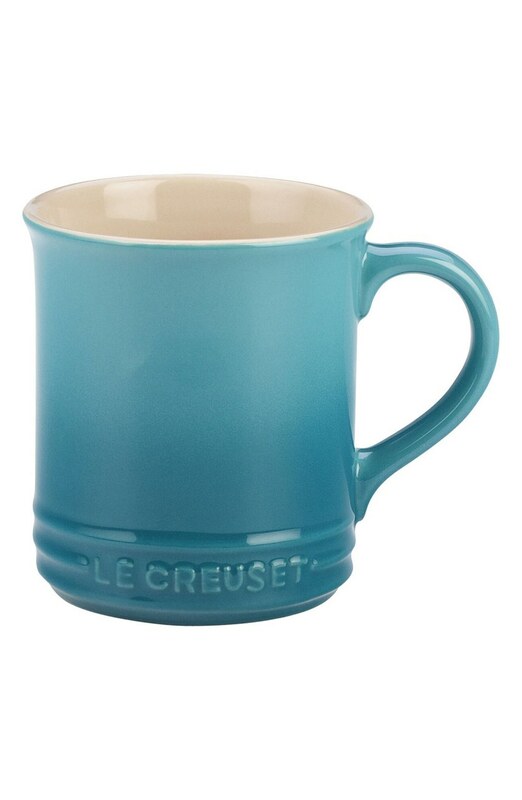 This Le Creuset Caribbean Stoneware Mug coordinates perfectly with your Le Creuset kitchenware and features a durable enamel finish to prevent utensil marks and scratches. $20 Sale $14. Free shipping. Buy here. Vintage inspired glassware with a classic raised stamped design, theÂ Fleur De Lis Carafe comes in two gorgeous colors and is perfect for serving water or wine at your next dinner party! $32 Sale $22. Buy here. 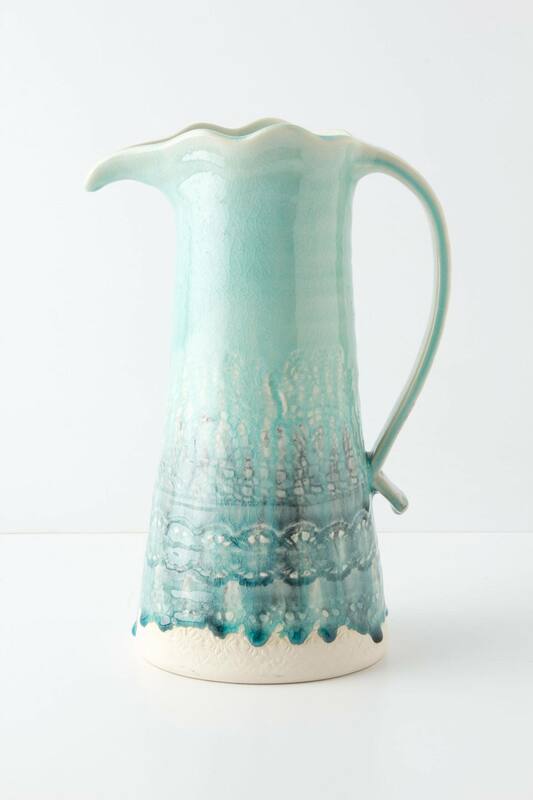 This pretty Old Havana Pitcher adds color and charm to your tabletop. Also makes a great vase! Made of stoneware. 11.5″H, 4″ diameter. $48. Buy here. 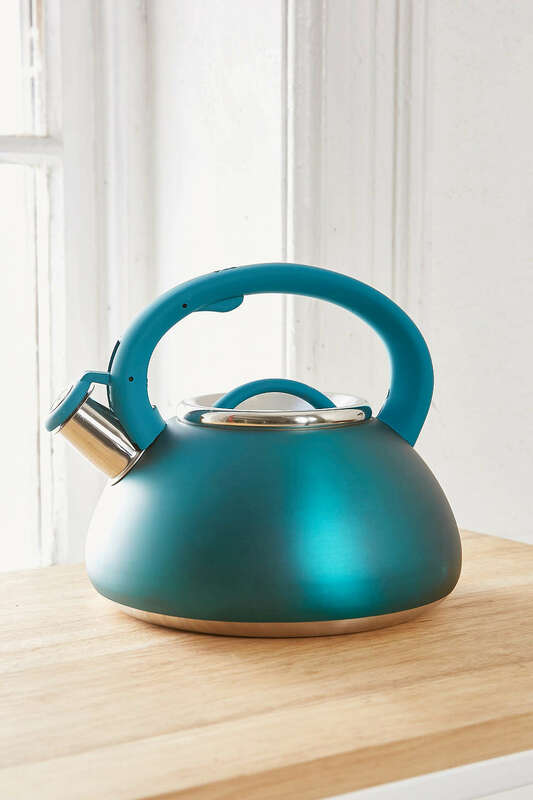 This Teal Avalon Whistling Tea Kettle is constructed out of quality stainless steel and holds up to 2.5 quarts of liquid. The stay-cool handle is soft to the touch. The kettle whistles to signal when your water is boiling. $39. Buy here. 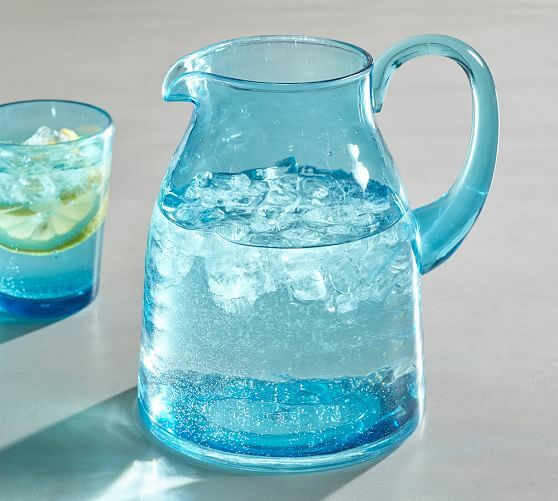 ThisÂ Tulum Acrylic Pitcher has the subtle organic look, texture and lively color of authentic Mexican glass, yet is durable and impact-resistant. $29.50 Sale $17.50. Free shipping. Buy here. 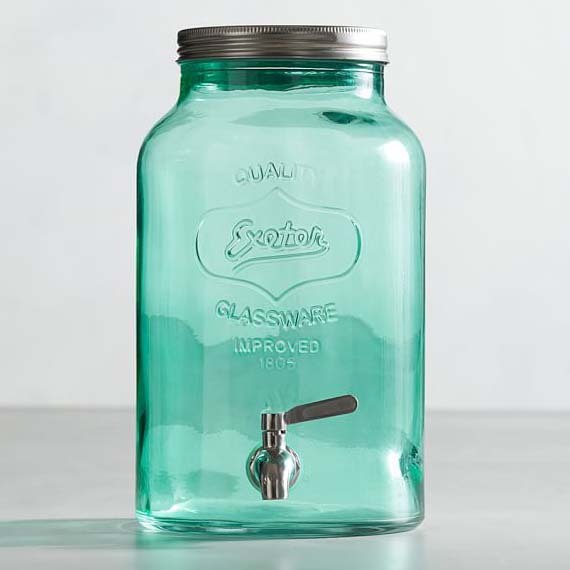 On the beach or on the front porch, thisÂ Mason Jar Drink Dispenser continues the American tradition of casual entertaining. Made of molded glass. $69 Sale $41. Buy here. 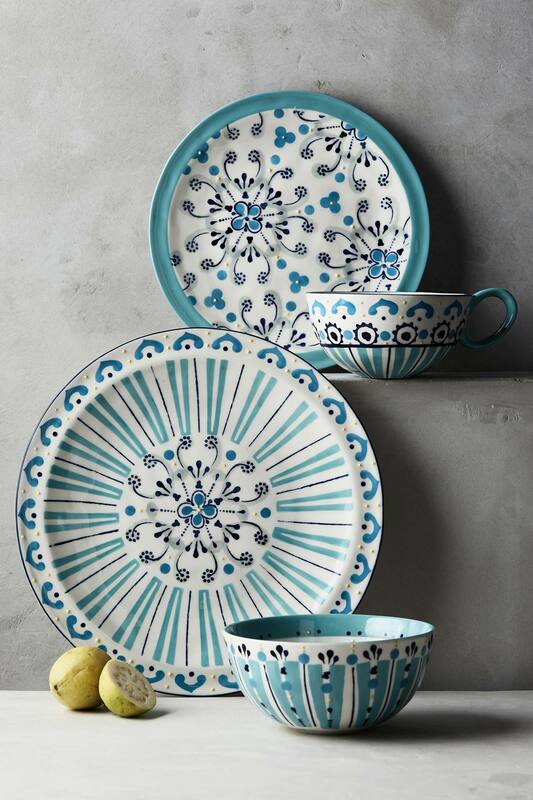 Add pretty color and pattern to your table with this beautiful Agean Dinnerware Collection. Made from handpainted stoneware. Dishwasher and microwave safe. $14-$24. Buy here. The Lenox French Perle Everything Mug features intricate detailing inspired by hand-embroidered fabrics. A carved beaded motif of scrolls and jewel-like elements punctuates the sophisticated, elegant look. $9.95. Buy here. 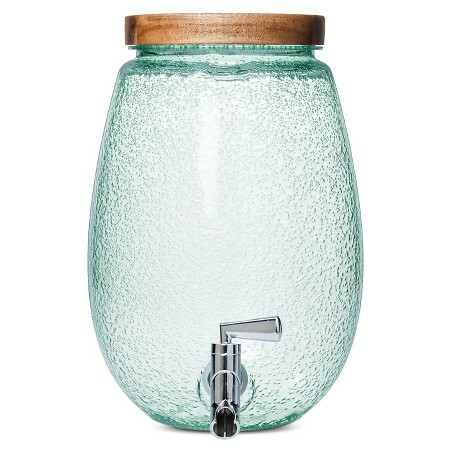 ThisÂ Plastic Round Bubble Beverage Dispenser in Virescent green color with an Acacia wood lid takes beverage dispensers to the next level with the mix of two different materials and the added touch of the bubble detail. 7 liter capacity. $12.99. Buy here. 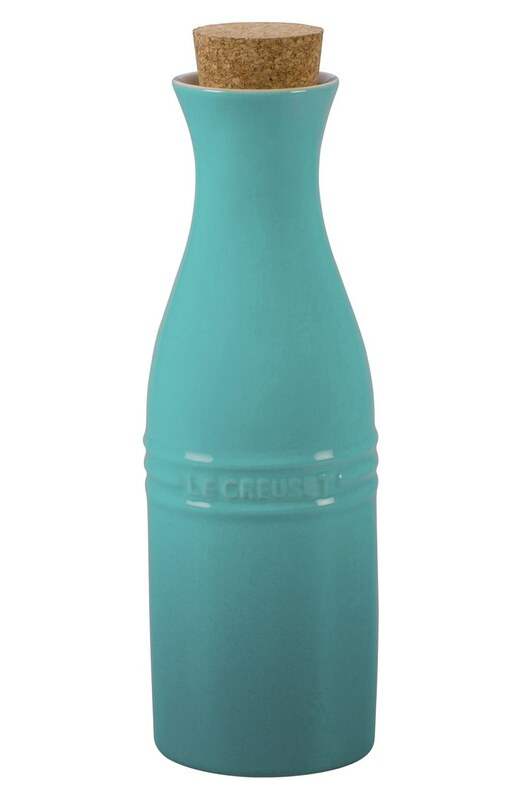 This attractiveÂ Le Creuset Glazed Stoneware Wine Carafe with Cork is made from dense stoneware that helps regulate the temperature of beverages. The wide opening makes it easy to fill, and the nonstick, glazed interior makes it easy to clean and does not take on the taste or odor of wines. $50. Free shipping. Buy here. 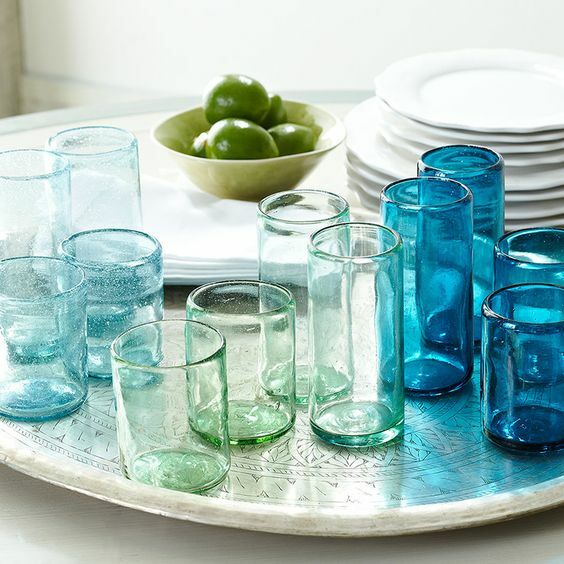 A vintage hobnail pattern gives thisÂ Turquoise Hobnail Acrylic Drinkware the look and feel of traditional crystal. Itâ€™s perfect for drinks on the deck or patio all summer long. Sets of 4. $26 Sale $20.50. Free shipping. Buy here. 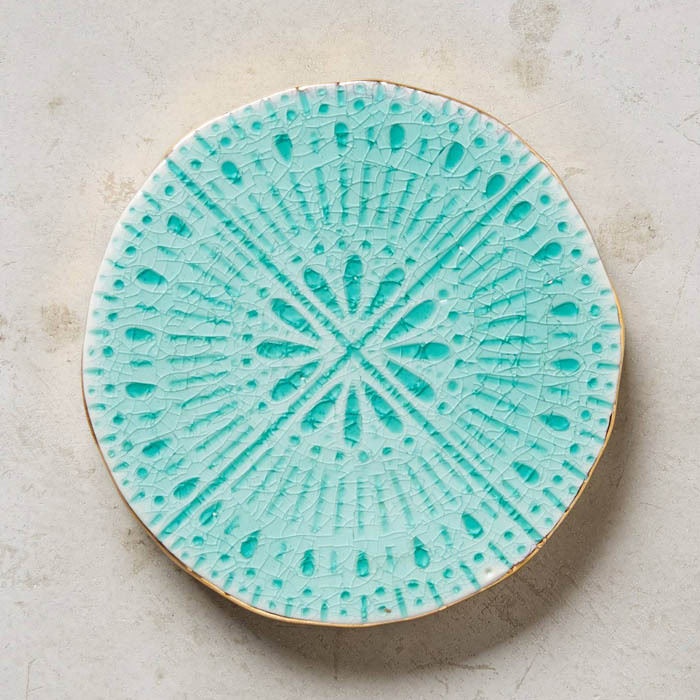 This unique Seafoam Pasatiempo Coaster is made from handpainted stoneware. 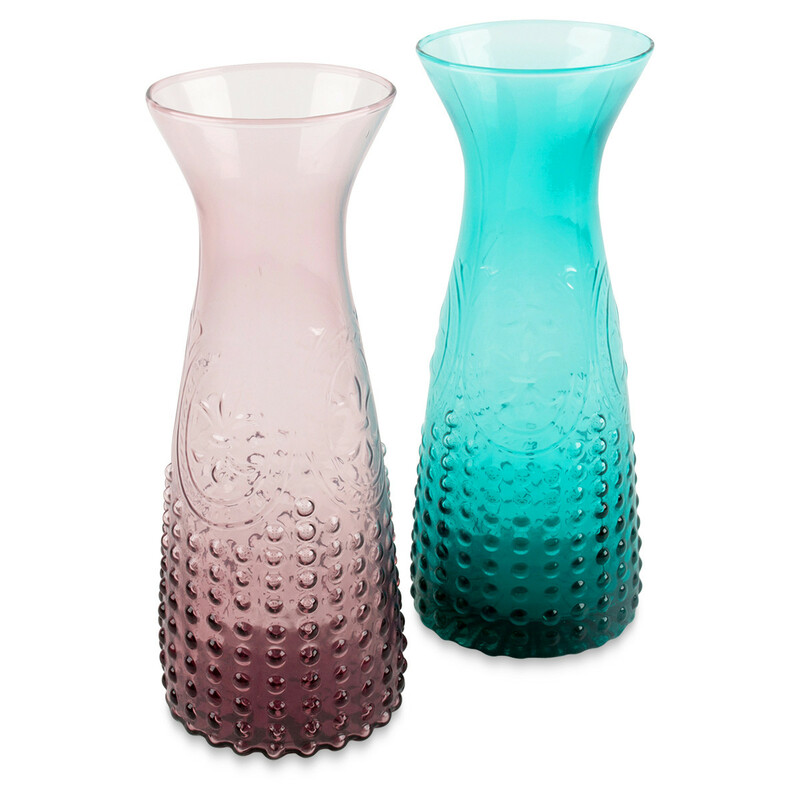 It’s the perfect way to protect your tabletop and add a pop of pretty color to your room. $10. Buy here. 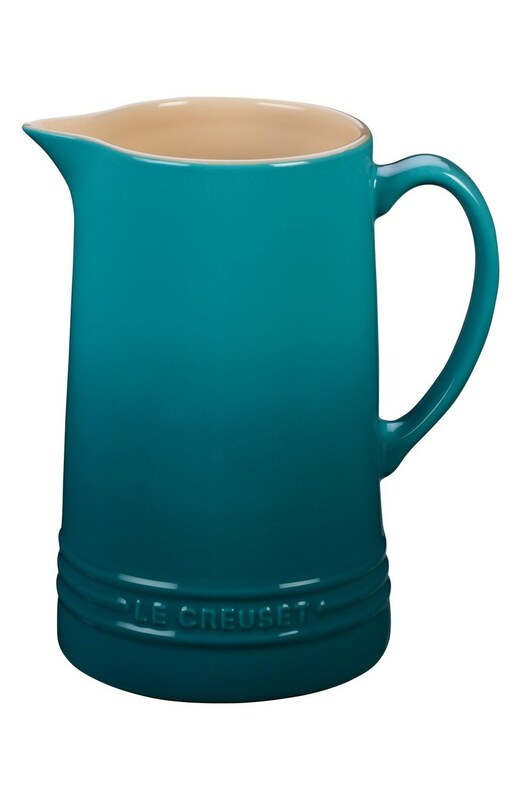 This Le Creuset Glazed Stoneware Pitcher in Caribbean is an attractive pitcher inspired by iconic mid-century design and made from dense stoneware that helps regulate the temperature of the contents and keep beverages cold or hot between refills. The raised, triple-ring logo design subtly brands the piece, and the nonstick, glazed interior makes it easy to clean and won’t absorb odor or flavors over time. $45. Free shipping. Buy here. 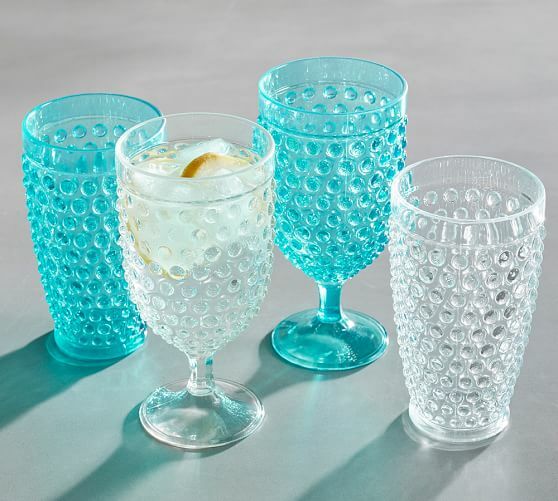 The classic seeded glass design of theseÂ Bubble Tumblers is a charming complement to your existing entertainment ware, and theyâ€™re the perfect size for adult beverages. Set of 4. $28 Sale $19.99. Buy here.